Illustrated by Emily Turner; Photo: Michelangelo Gratton/Rex USA. So, why can’t you just give yourself a break and move forward? Here, Lyon shares a simple visualization exercise to help you get there. 1. Stop and sit. 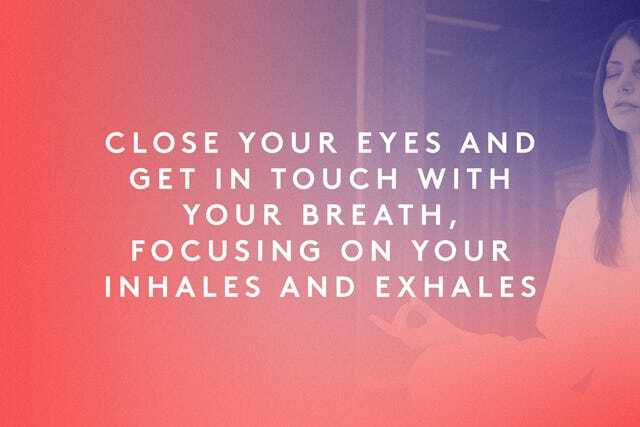 Close your eyes and get in touch with your breath, focusing on your inhales and exhales. “Bring about in your mind’s eye what you’ve done, the act you’re so obsessed and crazy about, and really feel all of the bad stuff it creates in the body, and just be with it,” Lyons says. NEXT: Are You Addicted To Sugar Without Knowing It?